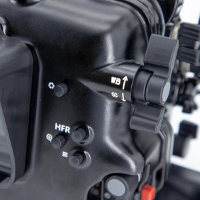 Sporting a spec sheet that compares to cameras costing thousands of dollars more, the Black Magic Pocket Cinema Camera 4K provides true DCI 4K @ 60fps from its MFT sensor with an impressive 13 stops of dynamic range. 1080 HD can be recorded up to 120fps in windowed format. Particularly impressive; the Blackmagic Pocket Cinema Camera 4K can record this resolution internally to UHSII V90 SD or CFast 2.0 cards in either 10-Bit ProRes or 12-Bit Raw formats. 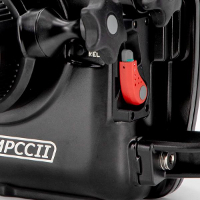 The NA-BMPCCII is not just an update of the original NA-BMPCC, it is a ground up redesign for the new Blackmagic Pocket Cinema Camera 4K designed to take full advantage of the great new features of this cinema camera. 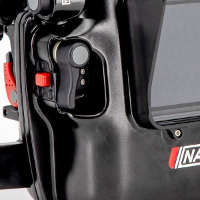 The NA-BMPCCII features DSLR style ergonomic handles with stainless steel stiffening brackets that are compatible with the optional handle strap (PN 28130). 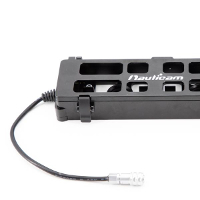 The rear monitor window is compatible with the Monitor Shade for the NA-502 Housing (PN 17916) which attaches via four screws. 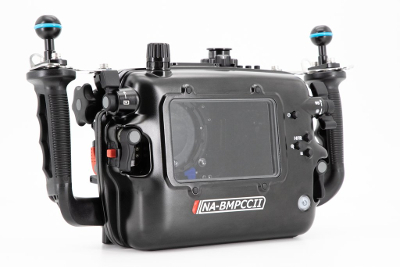 The NA-BMPCCII is built around the N85 Port System which offers a variety of port configurations for a large selection of lenses. The Pocket Cinema Camera 4K features a four thirds lens mount making it compatible with the Olympus M.Zuiko 14-42mm F3.5-5.6 II R lens that when paired with the WWL-1 provides ultra-sharp full-zoom-through wide-angle performance. 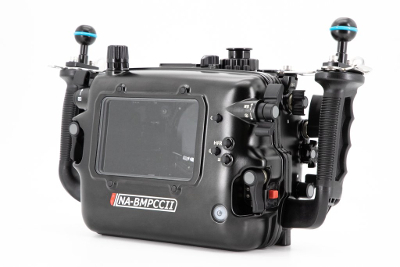 The WWL-1, when used with the bayonet mount system can be exchanged underwater for the optional CMC-1 or CMC-2 to allow for the capturing of up to 130º wide-angle, macro and super-macro all on the same dive. 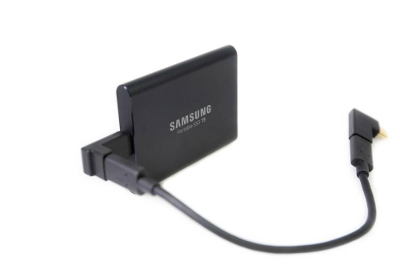 The NA-BMPCCII features a notch above the camera holds a T5 compact SSD which is connected to the camera via USB-C and allow for the recording of Raw or ProRes video to high-capacity edit-ready media. The NA-BMPCCII is designed with the Nauticam Mission Control philosophy insuring access to essentail controls within easy reach of the handles. Thumb levers provide access to ISO, Shutter Speed, White Balance, Autofocus, and Review. 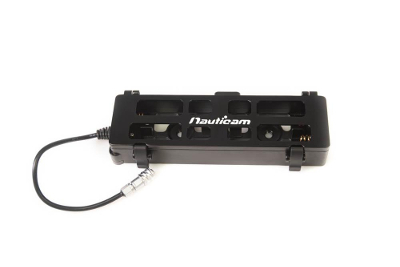 The NA-BMPCCII ships with an auxiliary battery cage that holds 4 x 1650 lithium batteries. The cage sits securely below the camera and can provide a total run time in excess of 3 hours with 4 x 3400 mAh batteries. Batteries are not included. 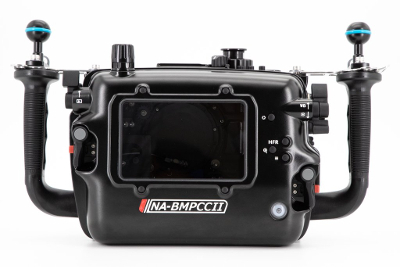 To allow for increased run-time, the NA-BMPCCII comes with a custom battery cage that holds 4 x 18650 Lithium Batteries (batteries not included). 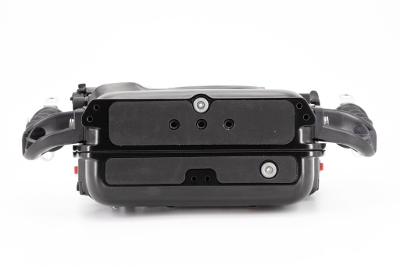 This battery cage sits securely beneath the camera inside the housing and connects directly to the camera's power supply input. With 4x3400 mAh batteries, the run-time of the system can exceed 3 hours. 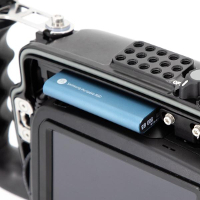 Atop the camera's position inside the housing is a slot that holds a compact T5 SSD which connects to the camera via USB-C. 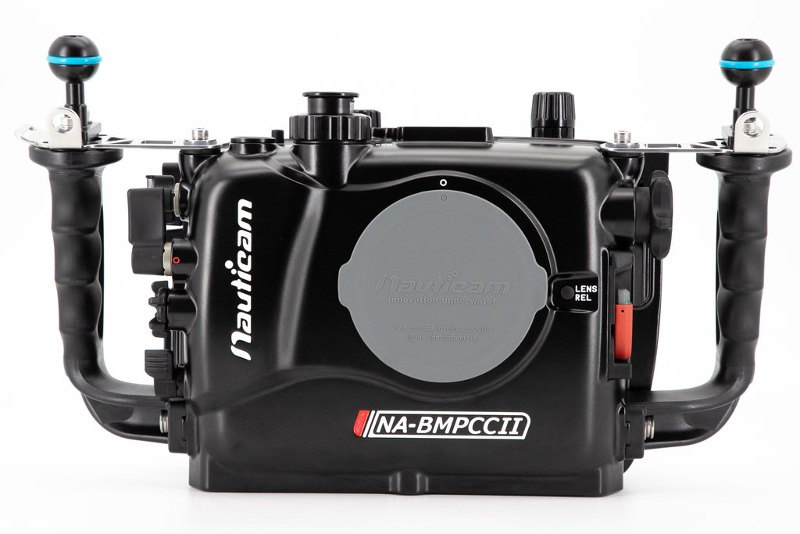 The Nauticam vacuum check and leak detection system is shipped with NA-BMPCCII as standard equipment. 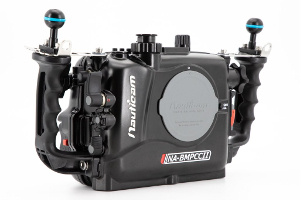 With the pre-installed vacuum valve, this monitoring system provides constant updates on the water tight and safe-to-dive status of the housing. A simple color coded LED lighting system lets the user know that the vacuum is solid, or that the housing is losing vacuum. Leak detection is built into the same circuit, so if there is water intrusion, an audible and visual indication will occur.